After payment you receive a link on which you can get a license key with the game BioShock 2 from the official supplier - the company "Buka", for activation in the STEAM system. - downloadable add-on Minervas Den. Continuation of the famous "smart shooter", which won more than fifty titles "The Game of 2007" in the ratings of leading gaming magazines and online portals, is an incredible story, a new protagonist, a unique gaming experience and a sea of ​​thrills. 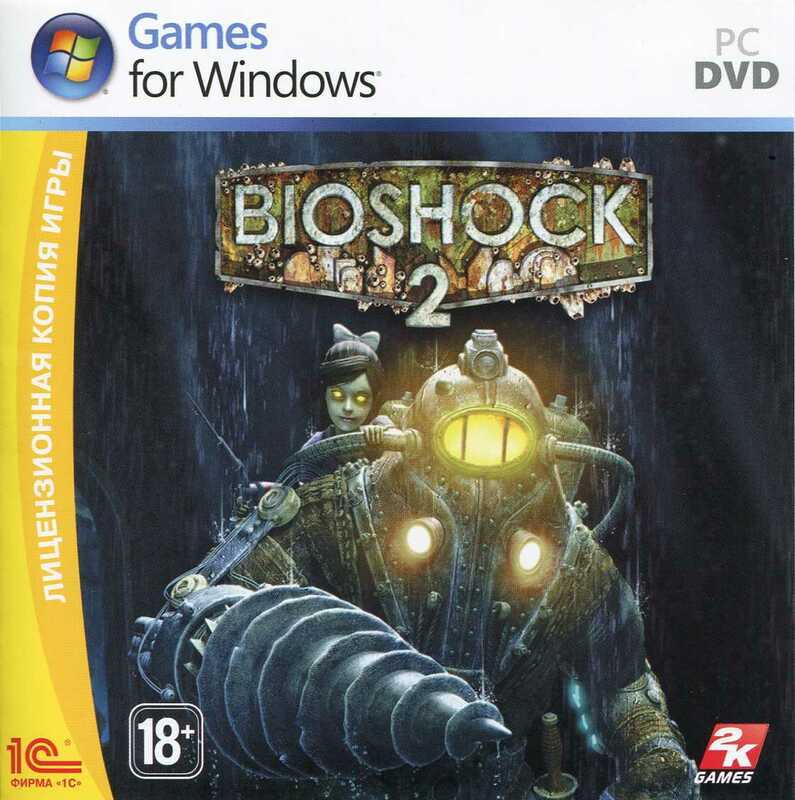 Ten years have passed since the dramatic events of the original BioShock game ended. On the coast of the Atlantic Ocean, a series of mysterious disappearances of little girls. Traces of the sinister kidnapper lead only to the underwater city of Delight. Time changed this place: the protective dome undermined the water, some areas were completely flooded, the buildings were dilapidated. In a desperate struggle for the right to life, only the strongest, cruel and treacherous mutants survived. The protagonist of the new game is Big Daddy, the prototype of all such giants, the only one of them who was not deprived of reason and will. In the role of this character, the player will go to explore the ruins of a dead, but still beautiful city, in order to find answers to numerous questions and destroy the main enemy. In BioShock 2 will be presented multiplayer, created based on the original game. The action of multiplayer battles will unfold during the time of prosperity of Delight. Players will be at the center of genetic experiments, which will subsequently lead to the collapse of the underwater city. As in the original game, the characters will be able to modify their own bodies with the help of plasmids and use the arsenal of techniques that has been redesigned specifically for the multiplayer mode. - Improvements and absolutely new elements of gameplay, making fights with enemies more spectacular and scale: thus, the hero´s ability to simultaneously use both weapons and plasmids allows creating incredible deadly combinations. - A new exciting journey through one of the most captivating virtual worlds. - Management of the hero, who became a symbol of BioShock, is a unique opportunity to experience the power and strength of the most formidable inhabitant of Delight on his own experience. - New ways of narration and unique mechanisms for the development of one of the most vivid game stories in the history of interactive entertainment. - The points earned by the player in battles with real rivals will provide access to various types of weapons, plasmids and tonics, the combinations of which will allow developing new abilities. - Players will become participants in the conflict that erupted many years ago and caused the death of Delight. - A journey through the legendary places of the underwater city during its heyday. This product is distributed through digital distribution, it is only a pin code, and does not contain packages and boxes.